Choosing original Lincoln accessories from the extensive inventory at Holman Lincoln Maple Shade in New Jersey, gives you the power of vehicle customization. Choosing original Lincoln accessories from the extensive inventory at Holman Lincoln Maple Shade in New Jersey ‐ serving Cherry Hill and Mt. Laurel ‐ gives you the power of vehicle customization. 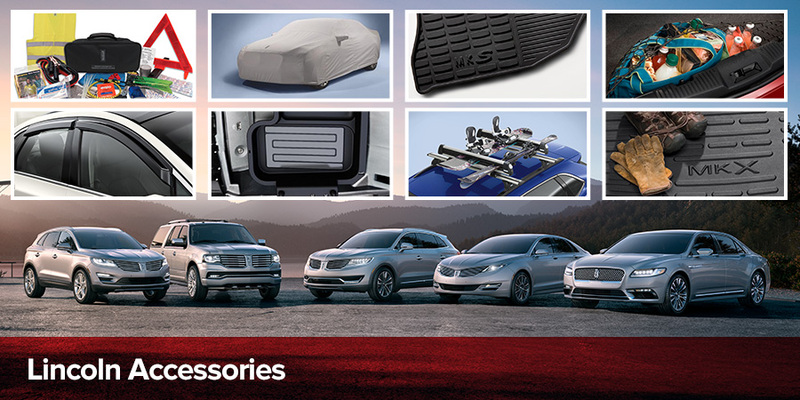 We make it easy to customize and upgrade your Lincoln, whether you visit our location or peruse our fully-stocked virtual accessories showroom. Our customers have the option to shop by their vehicle's specific model and year, or they can choose by specialized areas, like exterior add-ons that enhance appearance, interior protectants, and electronic integrations that transform the cabin into an entertainment suite. A wide selection of technology-friendly accessories is also available for enhanced connectivity between your smartphone and Lincoln while you're on the go. Along with the basics like key fobs and smartphone chargers, drivers can also shop wireless charging ports and electronic vehicle security add-ons. Our online ordering makes accessory shopping convenient and fast, but we also offer in-person selections for pre-purchase inspection. Our knowledgeable team of Service Center specialists will happily install your accessories for you, or simply show you how to get started. Visit Holman Lincoln Maple Shade at 571 West Route 38 in Maple Shade, NJ, or visit our Shop Accessories page to get started.